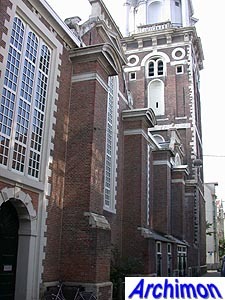 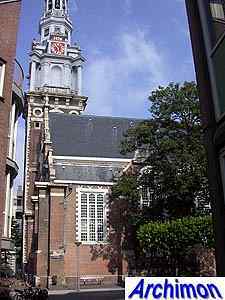 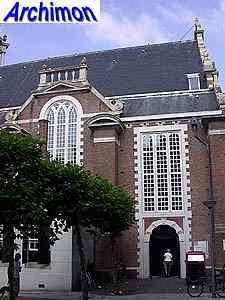 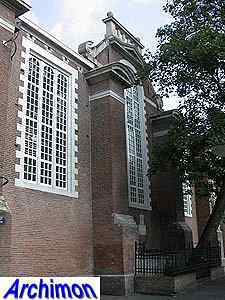 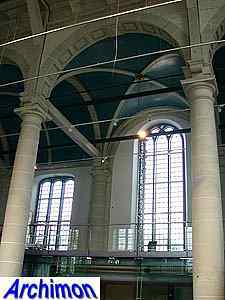 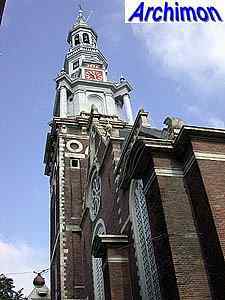 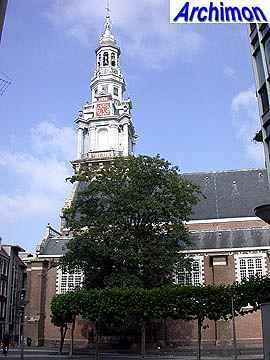 This was the first church in Amsterdam specifically built for the protestant community. 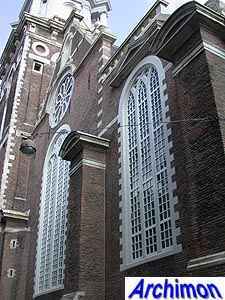 It's a pseudo-basilica with many details in renaissance style. 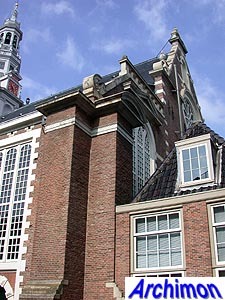 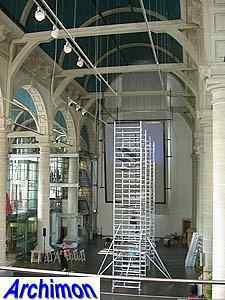 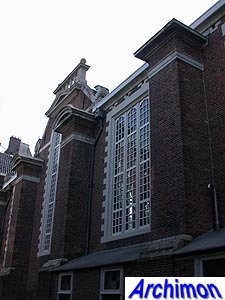 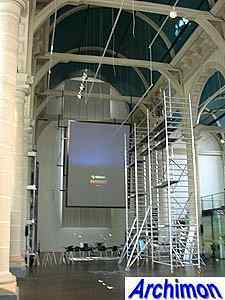 The truncated gables at the north and south ends are similar to those on De Keyser's later Noorderkerk and Westerkerk. 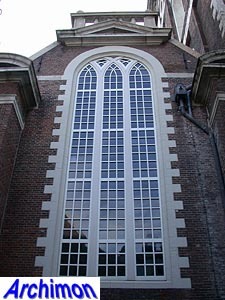 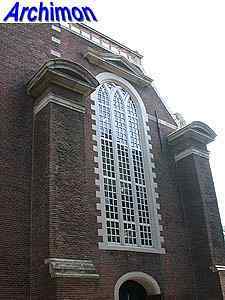 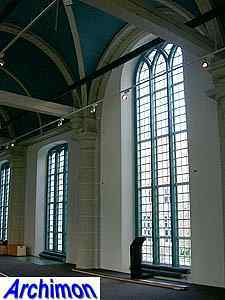 The rectangular windows are unique to this church, though. 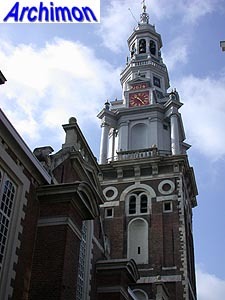 Although the nave was finished in 1611, the tower was only completed in 1614. 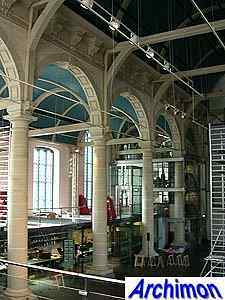 It has a square base, on top of which is a octagonal section which is partly covered in sandstone and decorated with Ionic pillars. 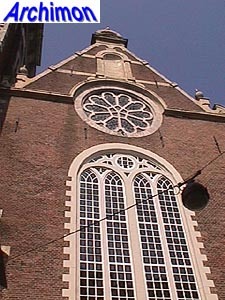 The spire is made of wood, covered with lead. 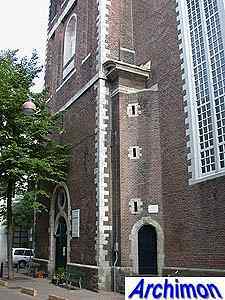 In the winter of 1944-'45 the church was used as a temporary storage for corpses, as people were starving of hunger at a higher rate than they could be buried. 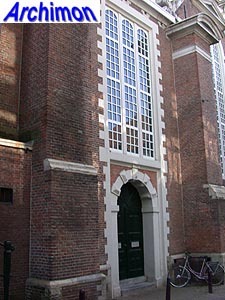 A plaque near the main entrance reminds of this time. 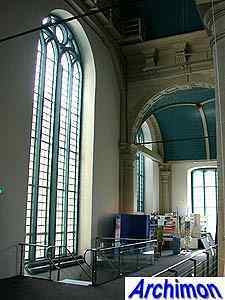 In 1970 the church was closed down because of its bad condition. 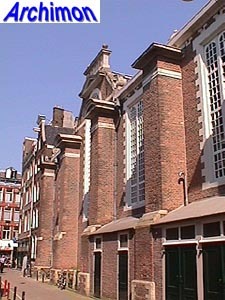 After restoration had finished in 1979 it became a municipal information office about housing.